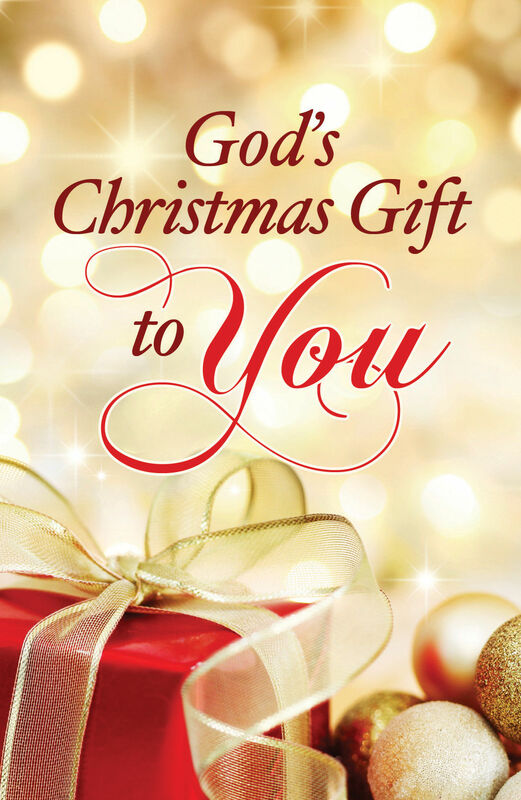 The best Christmas gift ever is God's gift to each of us–sending his Son to earth to save us from our sins! The true meaning of Christmas is that Jesus Christ, God himself, came to earth to be born into the human race. But why did he come? Some believe that Christ came to give us an example of God’s love. Others say he came to be a shining example. Many people consider him the greatest teacher of all time. Still others believe he came to establish a new religion. The Son of Man came. Almighty God has entered our world—“God with us” (Matthew 1:23). “The Word [Christ] became flesh [human]—and dwelt [lived] among us” (John 1:14). The Son of Man came to seek and to save. Isaiah 53:6, tells us that “All we like sheep have gone astray; we have turned—every one—to his own way.” No one had to teach us to run from God. We were born running! We all want to do our own thing! Jesus did not come as a tourist or an educator or an itinerant philosopher. Jesus came as a Savior seeking to save “the lost,” those who were estranged from God by their sins. We are all lost without God—lost without hope, lost in a tangled web of sin. If Jesus had never come to the earth, we would all be condemned because “all have sinned and fall short of the glory of God” (Romans 3:23). How bad is our problem? Sin has infected your mind, your emotions, your will, your intellect, your moral reasoning, your decision-making, your words, and your deeds. No part of your life is exempt from the debilitating effects of sin. The best among us are still rebels in need of God’s mercy. We need salvation, not reformation. We need forgiveness, not lectures on morality. We need new life, not a new leaf. And what we need, Jesus Christ, God’s sinless Son, came to earth to provide. He did it by dying on a cross—taking the consequences our sinfulness deserved. It was the only way God could give us the greatest gift ever—forgiveness of our sins and an eternal relationship with him. the righteous for the unrighteous, that he might bring us to God. Three days later Jesus rose from the dead, proving his supernatural mission had been accomplished so “the lost” can be saved! When we truly believe that Jesus died and rose again for us, that very moment all our sins are fully pardoned. Like all of mankind, you are a sinner, but Christ’s seeking includes you, and he wants to forgive you for all your sins. Believe in him as your Savior today!